The state of Maryland has a skilled and spirited workforce. Our citizens work extremely hard, and we take pride in the services we provide and the products we develop, create, and distribute. We work through rough weather and tough times, over long days and endless nights to provide top-notch products and services to those in our state, in our country, and around the world. Our work ethic comes from our belief in each other and in creating a safe, productive environment with a high quality of life and a reliance on family values. The American Dream is alive and well in Maryland, but if you’ve been injured on the job and are unable to receive adequate treatment and compensation, that dream can quickly become a nightmare. People often think of workers’ compensation as the process of filing a lawsuit against their employer, but that’s a misconception. Workers’ compensation was established to provide medical care, sick pay, and other compensation for employees who are injured (permanently or temporarily) or develop occupational illnesses during the course of employment. Despite being referred to as a “simple and informal system,” workers’ compensation often turns into something else due to the efforts of insurance companies. You are likely a great employee with an admirable employment record, but if you are injured or develop an occupational illness as a result of your employment, the insurance company may attempt to fight your claim by sending you to a doctor of their choosing for a medical examination. This doctor may write a report stating that your injuries or occupational illness is either not related to your employment or that these conditions do not prevent you from working and that your doctor’s recommended treatment regimen is unnecessary. file a notice of injury, not a claim. It is from this date that you have to comply with the two-year statute of limitations in which to file your workers’ compensation claim. It’s vital that you note the distinction between filing an insurance claim with your employer and a workers’ compensation claim with the Maryland Workers’ Compensation Commission (WCC) — the first is the obligation of an employer, while the latter is the obligation of the employee. You should speak with an attorney as soon as possible to ensure that both claims have been submitted in order to receive lifetime medical care for your injuries. If you have developed an occupational disease as a result of your employment, you can file a claim within two years after disablement or two years after you discovered that the occupational disease came as a result of your employment — whichever comes later. Regardless of the severity of your work-related injury, if you feel that there is any potential medical issue, even if only a mild sprain or bruise, you should seek medical treatment immediately from a medical provider of your choosing. It can be difficult to determine if you really have a Maryland WCC claim as opposed to an insurance claim, but it is vital that you find out. The legal process surrounding a workers’ compensation claim can be complicated, so you should always contact an experienced attorney if you have any questions or concerns about your claim. When you hire the Pinder Plotkin Legal Team to represent you in your workers’ compensation claim, we will gather all relevant medical records and ensure that your physician has expressed his medical opinion clearly. Additionally, we will argue that your doctor is more informed regarding your injuries than the insurance company doctor, who likely performed only a brief examination. You will not pay fees or expenses unless ordered to do so by the Workers’ Compensation Commission; if that happens, these funds will be withdrawn from any compensation received from your employer’s insurance company. 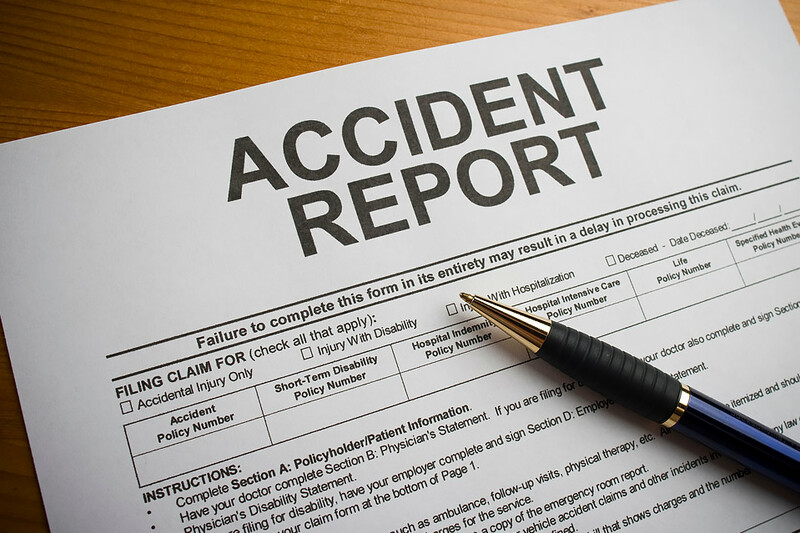 In order to receive full financial restitution for your claim, you must diligently track and record all expenses related to your injury, as well as the dates and hours you have missed from work while recovering from your injuries. Do not broadcast your injuries on social media, but create digital and hard copies of your lost time and incurred expenses and share these copies with your attorney. Immediately following the accident, insurance adjusters begin looking for loopholes in your claim in order to deny payment. Do not speak with an insurance adjuster before speaking with one of our attorneys. Workers’ compensation injuries and occupational illnesses can be life-changing events. Many employees are forced to end their chosen careers and “start over” in a new job with a new set of physical limitations. When this happens, we stress retraining in a new and promising career, and we fight to recover any loss of earnings you have experienced or will experience in the future as a result of your unexpected occupational shift — in addition to other losses in wages or earnings potential you have sustained due to the employment-related injury or occupational illness you have suffered. If you or a loved one has been injured while on the job, please get in touch with the legal team at Pinder Plotkin. Our office has tried hundreds of cases before the Workers’ Compensation Commission, and other firms frequently refer cases to us because they trust our knowledge and experience in fighting for our clients’ rights. Our contingent fee policy ensures that you do not pay fees or expenses unless or until your case has been satisfactorily resolved. Please call us today at (410) 661-9440 or visit our website to receive a free consultation regarding your case.